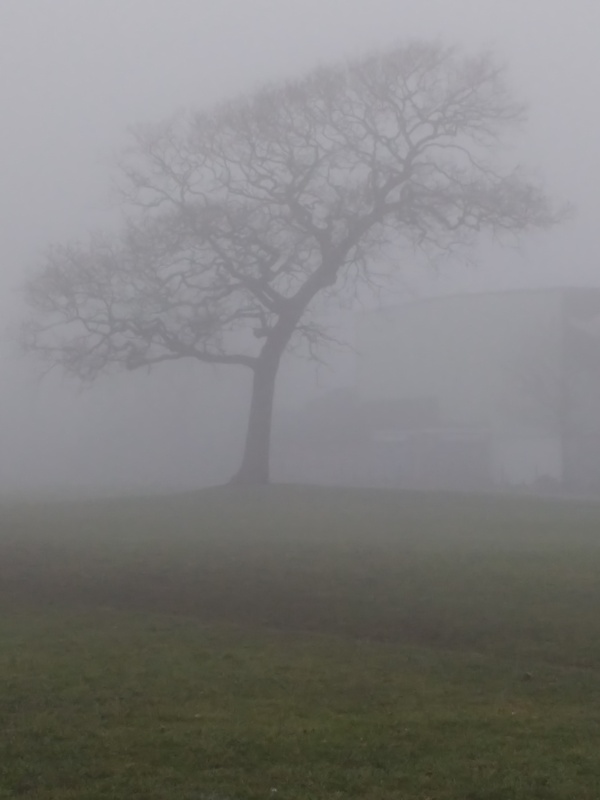 It was a very foggy day yesterday. I’m used to taking my dogs for a walk in the dark, and I have a good head torch, so it’s no big deal, but fog is a little different. It was so thick yesterday, I could stand on the centre spot of the football field, and I couldn’t see either end or either side of the pitch. I could hear other people walking their dogs (mostly calling for them, because they’d wandered off into the fog), but I didn’t see another sole. It always reminds me of the Stephen King story “The Mist”, which I think is in the compilation “Skeleton Crew”[GoodReads]. There was also a reasonable movie made of the story a few years back, which is worth a watch (see below). It actually got thicker during the morning, and hung around all day. I’ll be out there again, when you read this on another dog walk. This entry was posted in Dog, Dogs and tagged dog, dog walk, dogs, fog, mist, the mist. Bookmark the permalink. We’ve had some fog here, too, the last few days; once again, our sunshine has been limited this winter. Fog in the winter can be pretty, as everything gets a thick coating of frost. But, I’d rather have it cold and clear, with lots of sun, than these dreary days.